On March 15, 2019, State Police from SP Somers arrested Edward J. Vitale, age 51, of Bayonne, NJ, for DWAI Drugs, and Criminal Possession of a Controlled Substance in the 7thdegree, both misdemeanors. He was traveling on Interstate 684 in the town of Bedford, when he was stopped for a vehicle and traffic law violation. Investigation revealed that he was impaired by drugs, and was subsequently arrested. On March 15, 2019, State Police from SP Wappinger arrested Joshua Davis, age 48, of Wappinger, NY, for DWI. He was traveling on State Route 9D in the town of Wappinger, when he was stopped following an erratic vehicle complaint. Investigation revealed that he was impaired by alcohol, and was subsequently arrested. On March 15, 2019, State Police from SP Hawthorne arrested Troy U. Perkins, age 22, of Bronx, NY, for DWI. He was traveling on the Sprain Brook Parkway in the town of Greenburgh, when he was stopped for a vehicle and traffic law violation. Investigation revealed that he was impaired by alcohol, and was subsequently arrested. 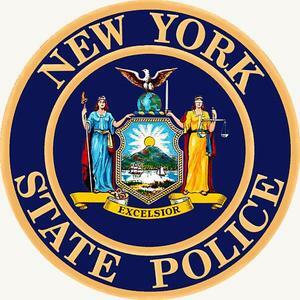 On March 15, 2019, State Police from SP Kinderhook arrested Andrew L. Sacco, age 22, of Stuyvesant, NY, for DWI. He was traveling on County Route 21 in the town of Kinderhook, when he was involved in a one car motor vehicle crash. Investigation revealed that he was impaired by alcohol, and was subsequently arrested. On March 16, 2019, State Police from SP Poughkeepsie arrested Alyssa M. Cenname, age 25, of Beekman, NY, for DWI. She was traveling on State Route 55 in the town of Lagrange, when she was stopped for a vehicle and traffic law violation. Investigation revealed that she was impaired by alcohol, and was subsequently arrested. On March 16, 2019, State Police from SP Wappinger arrested Justin C. Long, age 31, of Poughkeepsie, NY, for Aggravated DWI. He was traveling on Noxon Road in the town of Lagrange, when he was stopped for a vehicle and traffic law violation. Investigation revealed that he was impaired by alcohol, and was subsequently arrested. On March 16, 2019, State Police from SP Kinderhook arrested James E. Richards, age 47, of Duryea, PA, for DWI. He was traveling on State Route 203 in the town of Kinderhook, when he was stopped for a vehicle and traffic law violation. Investigation revealed that he was impaired by alcohol, and was subsequently arrested. On March 16, 2019, State Police from SP Dover Plains arrested Jose E. Garcia Moreno, age 45, of Norwalk, CT, for DWI. He was traveling on State Route 22 in the town of Dover, when he was stopped for a vehicle and traffic law violation. Investigation revealed that he was impaired by alcohol, and was subsequently arrested. On March 16, 2019, State Police from SP Wappinger arrested Mark J. Russe, age 58, of Wappinger, NY, for Aggravated DWI. He was traveling on State Route 9D in the city of Beacon, when he was stopped for a vehicle and traffic law violation. Investigation revealed that he was impaired by alcohol, and was subsequently arrested. On March 16, 2019, State Police from SP Poughkeepsie arrested Michael J. Casino Jr., age 32, of Wappinger, NY, for DWI. He was traveling on Noxon Road in the town of Lagrange, when he was interviewed during a DWI safety checkpoint. Investigation revealed that he was impaired by alcohol, and was subsequently arrested. On March 16, 2019, State Police from SP Brewster arrested Frank R. Nicodemus, age 31, of Wappinger, NY, for DWI. He was traveling on Noxon Road in the town of Lagrange, when he was interviewed during a DWI safety checkpoint. Investigation revealed that he was impaired by alcohol, and was subsequently arrested. On March 16, 2019, State Police from SP Livingston arrested Christopher Roberts, age 43, of Winsted, CT, for Criminal Possession of a Weapon in the 2nd degree, a class C felony, Criminal Possession of a Weapon in the 4th degree, and Driving While Intoxicated, both misdemeanors. He was traveling on State Route 295 in the town of Canaan, when he was stopped for a vehicle and traffic law violation. Investigation revealed that he was impaired by alcohol, and was subsequently arrested. Further investigation discovered he illegally possessed a Ruger .357 handgun and a dagger. On March 17, 2019, State Police from SP Stormville arrested Charles R. Premuto, age 34, of Carmel, NY, for DWI, and two counts of Criminal Possession on a Controlled Substance in the 7th degree, both misdemeanors. He was traveling on State Route 376 in the town of Poughkeepsie, when he was stopped for a vehicle and traffic law violation. Investigation revealed that he was impaired by alcohol, and was subsequently arrested. Further investigation discovered he possessed approximately 200 grams of anabolic steroids, and 22 grams of human growth hormone. On March 17, 2019, State Police from SP Poughkeepsie arrested Albert Lara, age 28, of Queens, NY, for DWI. He was traveling on the South Road in the town of Washington, when he was involved in a one car motor vehicle crash. Investigation revealed that he was impaired by alcohol, and was subsequently arrested. On March 17, 2019, State Police from SP Cortlandt arrested Andrew B. Uffenheimer, age 45, of Carmel, NY, for DWI. He was traveling on Oregon Road in the town of Cortlandt, when he was stopped for a vehicle and traffic law violation. Investigation revealed that he was impaired by alcohol, and was subsequently arrested. On March 17, 2019, State Police from SP Hawthorne arrested John A. Fay, age 35, of Tomkins Cove, NY, for DWI. He was traveling on the Sprain Brook Parkway in the city of Yonkers, when he was stopped for a vehicle and traffic law violation. Investigation revealed that he was impaired by alcohol, and was subsequently arrested. On March 17, 2019, State Police from SP Wappinger arrested Jodi A. Bernstein, age 48, of Hopewell Junction, NY, for DWI. He was traveling on Church Street in the village of Fishkill, when he was stopped for a vehicle and traffic law violation. Investigation revealed that he was impaired by alcohol, and was subsequently arrested. On March 17, 2019, State Police from SP Brewster arrested Denis Demiri, age 30, of Bethel, CT, for DWI. He was traveling on State Route 22 in the town of Southeast, when he was stopped for a vehicle and traffic law violation. Investigation revealed that he was impaired by alcohol, and was subsequently arrested. On March 17, 2019, State Police from SP Cortlandt arrested Clarence O. Bolton, age 42, of Peekskill, NY, for DWI. He was traveling on State Route 9 in the village of Croton-on-Hudson, when he was stopped for a vehicle and traffic law violation. Investigation revealed that he was impaired by alcohol, and was subsequently arrested. On March 17, 2019, State Police from SP Cortlandt arrested Jonnathan X. Vele, age 24, of Tarrytown, NY, for DWI with a previous conviction within ten years, and Aggravated Unlicensed Operation in the 1st degree, both class E felonies. He was traveling on State Route 9 in the town of Cortlandt, when he was stopped for a vehicle and traffic law violation. Investigation revealed that he was impaired by alcohol, and was subsequently arrested. On March 17, 2019, State Police from SP Brewster arrested Jennifer Antanios, age 33, of Bay Shore, NY, for DWI. She was traveling on Interstate 684 in the town of Southeast, when she was stopped for a vehicle and traffic law violation. Investigation revealed that she was impaired by alcohol, and was subsequently arrested. On March 17, 2019, State Police from SP Somers arrested Ram J. Balani, age 67, of Somers, NY, for DWI. He was traveling on Mahopac Avenue in the town of Somers, when he was stopped for a vehicle and traffic law violation. Investigation revealed that he was impaired by alcohol, and was subsequently arrested. On March 17, 2019, State Police from SP Wappinger arrested Thomas J. Zemko, age 39, of Dover, NY, for DWAI Drugs, and three counts of Criminal Possession of a Controlled Substance in the 7th degree, both misdemeanors. He was traveling on State Route 22 in the town of Southeast, when he was stopped for a vehicle and traffic law violation. Investigation revealed that he was impaired by drugs, and was subsequently arrested. Further investigation discovered approximately 1.4 grams of Clonazepam, 1.2 grams of Amphetamine/Dextroamphetamine, and 0.6 grams of Alprazolam. On March 17, 2019, State Police from SP Poughkeepsie arrested Jonathan S. Almonte, age 28, of New York, NY, for DWI. He was traveling on State Route 55 in the town of Pawling, when he was stopped for a vehicle and traffic law violation. Investigation revealed that he was impaired by alcohol, and was subsequently arrested. On March 17, 2019, State Police from SP Brewster arrested Armindo L. Goncalves, age 59, of Yonkers, NY, for DWI. He was traveling on State Route 22 in the town of Southeast, when he was stopped for a vehicle and traffic law violation. Investigation revealed that he was impaired by alcohol, and was subsequently arrested. On March 17, 2019, State Police from SP Brewster arrested Rony J. Almendares, age 21, of Danbury, CT, for DWI. He was traveling on State Route 22 in the town of Southeast, when he was stopped for a vehicle and traffic law violation. Investigation revealed that he was impaired by alcohol, and was subsequently arrested.